Epiphanies have their own rhythms, mechanics, and patterns. The food movement, for example, is populated with those of us who saw the right film at the right time, or read the right book, or savored for the first time what unprocessed, local food tastes like. Not everyone’s so lucky. Some of us come to the food movement not through joy, but through the wicked pain of having one too many loved ones succumb to the food system’s ills. That was the case for Jim Barngrover, whose journey to the food movement began the day his father returned home poisoned by insecticide, never to recover. His story, and those of many other Montanan farmers, is told in Liz Carlisle’s closely observed celebration of the life, in the soil and above it, of a group of farmers she names in her recent book The Lentil Underground. Another member of the Lentil Underground, Bud Barta, is beautifully silhouetted as a “gentle, bearded father of three … the kind of guy you’d hope to have with you if your truck broke down.” Barta was a carpenter who happened to find work as a technician for a traveling alternative energy show in the 1970s. He returned from three years on the road a confirmed contrarian. He joined like-minded folk under the banner of the Alternative Energy Resources Organization (AERO). It wasn’t long before they began to explore the possibilities of the most potent collectors of solar energy—plant leaves. In 1984, AERO hosted a sustainable farming conference keynoted by a wunderkind of the new field of agroecology, University of California Berkeley’s Miguel Altieri. He described agroecology as a farming system in which nitrogen-fixing crops formed part of complex rotations and intercropping, building soil for deep, sustainable agriculture. Conventional farmers derided growing lentils like black medic—a relative of alfalfa—as “weed farming.” For AERO members, though, it was a revelation. But after the revelation comes the work. Barta’s father was the first in the county to farm with pesticides. Bud was the first to farm without them. Conflict on the family farm was inevitable. Every ecosystem has conflict, of course. A landscaper once told me that the Hindu god of gardening is Shiva, god of death. Every attempt to grow food is an intervention in the sprawling conflicts for life and survival in the soil. And conventional ideas about how decisions are made in a family can be just as ill-founded as conventional ideas about pesticides and fertilizer. For farmers in Carlisle’s book, the turn toward agroecology transformed their most intimate familial relations. When convention suffocates, it helps to have a sense of history. Jim Barngrover fortified his resolve to grow lentils with some research. It turns out that growing lentils instead of row crops was something Montanans had done very successfully. According to Carlisle, the state had a thriving pea industry in the 1930s, one that fell victim to its own success. The pea crop was destroyed by blight because farmers didn’t rotate them with other crops. When convention suffocates, it helps to have a sense of history. Those crops came to the landscape because of an environmental catastrophe created by the great historic force of the American food system—the futures markets. You may have heard of Earl Butz, the U.S. secretary of agriculture who urged farmers to “get big or get out” and to “plant fencerow to fencerow,” but he wasn’t the first to ask farmers to plant monocultures for profit. Decades before Butz came the commercial imperatives of the Gilded Age. During the second half of the 19th century, the Chicago Board of Trade created markets for standardized crops, telegraphing through the creeping network of railroads the new demands for supplies of standard crops. Just as the legume roots host rhizomes, so the railroads were filaments of global markets creating rural communities. Railroads and the Chicago markets forged American agriculture together, root and nodule, fist in glove. Meanwhile in Montana, the king of the Great Northern Railroad, James J. Hill, wound his way through community after community, encouraging farmers to plow up the prairie and plant wheat—the crop he was interested in freighting through Chicago to the world beyond. He was, at least, honest about his motives. Historians have quoted Hill as having said: “I know that in the first instance my great interest in the agricultural growth of the Northwest was purely selfish. If the farmer was not prosperous, we were poor.” The Montana Agricultural Experiment Station counseled against the crop, suggesting that Great Plains farmers diversify their crops. Chicago’s markets disagreed—they wanted standardization, not diversity. Hill’s traveling roadshow promised great wealth, if only farmers would plant a great monoculture of wheat. His 1909 Dry Farming Congress was a success. Farmers planted. Their soils eroded. The wheat price fell. They planted yet more, neglecting to rotate crops, the cries of their children trumping the health of their soil. In the end, both suffered. The Dust Bowl destroyed the Great Plains. The New Deal offered soybeans, subsidies, and social programs as a governmental compromise between the status quo on the one hand and environmental catastrophe and militant demands for societal transformation on the other. By the 1980s, the soil conservation programs of the 1930s had become the life-support system for declining small-scale farmers and a trough for Big Agriculture. 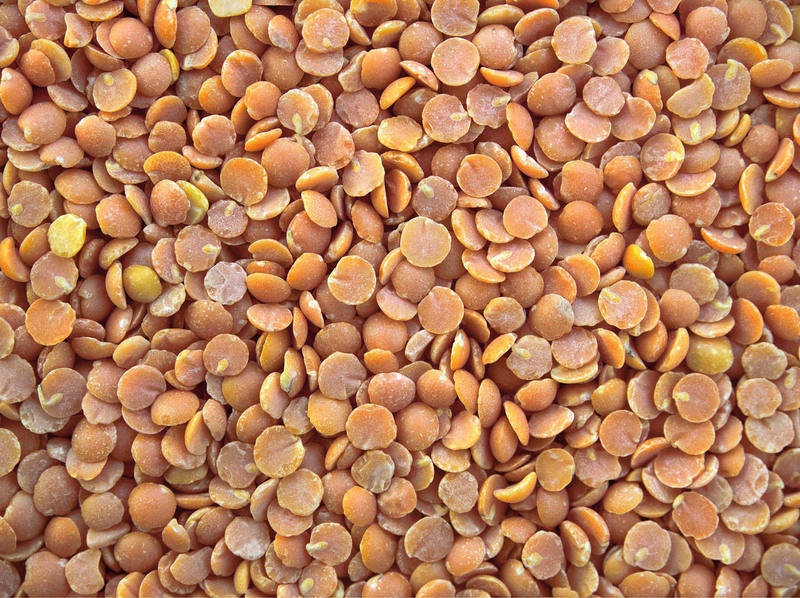 Industrial agricultural corporations weren’t going to fund research about growing lentils. Montana State University was sold on the idea of sustainability in theory, but in practice its research agenda was shaped by the concerns of conventional agriculture. A little support for agroecology was snuck into research grants, but real innovation came not from the ivory tower but from the fields. The farmers built a network of more than 120 Farm Improvement Clubs, a peer-to-peer network of research and exchange, similar to the community of Central American farmers my friend Eric Holt-Gimenez writes about in Campesino A Campesino. The Lentil Underground created a diffuse network of botanists, agronomists, and soil scientists with a mission to serve one another, rather than the forces behind the grant cycles. It’s peer-to-peer and helps develop the atrophied skills of solidarity, reciprocity, generosity, and love. I’ve never been to Montana, but I recognize how this happens among lentil farmers, because it has happened to me in a community of activists. Through direct action, through putting your mind and body into motion for change, you experiment with yourself while also experimenting with the world. One of the best things that comes from direct action is a recognition that the world can be bigger, richer, and more interconnected than we ever thought. That discovery can help the Lentil Underground, and help us all, in one of the biggest challenges ahead. Yet no matter how rich the loam or deep the bonds of solidarity, you can’t grow a crop no one wants. Just as wheat farmers and their markets developed simultaneously through the Chicago Mercantile Exchange, the Lentil Underground needed to cultivate the crop and its buyers in tandem. So how to fix that? It’d require bridging the country and the city, finding new alliances and possibilities in a changing global economy. Montana has a history of doing that. In 1892, the People’s Party opposed both Republicans and Democrats with an alliance of urban workers and farmers called the National Alliance. Its most successful candidate was a women’s rights advocate, Ella Knowles, who ran for attorney general. Knowing our history can help build a collective resolve to change the food system. We can also learn a lot from movements outside the United States. One of La Via Campesina’s Brazilian members, the Landless Workers Movement, has seen that in order to achieve systemic change, they’ll have to find new ways to bridge the divide between those who grow food and those who eat. They’re already doing that with a politics that demands social transformation, a process that makes it happen, and policies that work. In its school feeding program, the government buys food for children and pays a 30 percent premium for agroecologically grown crops. But to demand programs like that, to demand much more, will require far more of us to be ready to transform society. The great gift of Timeless Seeds is that they’ve shown how committed, scientific, peer-to-peer direct action can grow a community, a rich loam, in which that transformation might thrive.